what kind of milk powder have you used?? can this be opted out?? I used full cream milk to increase fragrance. If you don't have any, you might skip it. can i use skim milk? 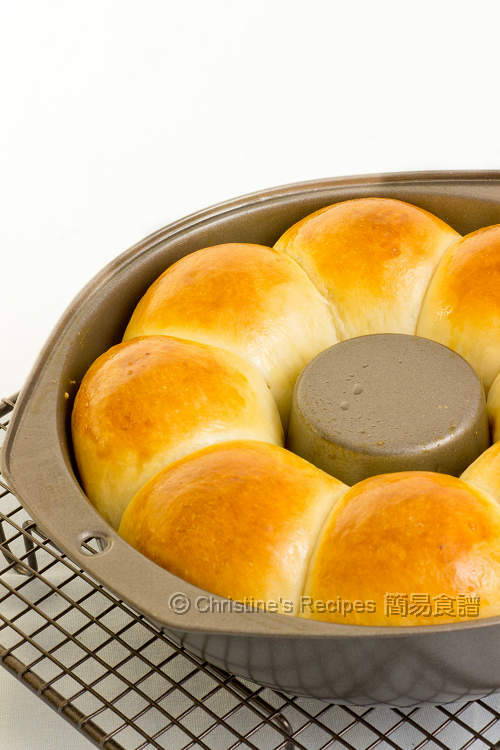 yum that looks delicious, will try tmr, but ive never had much luck with bread, my house is too cold. 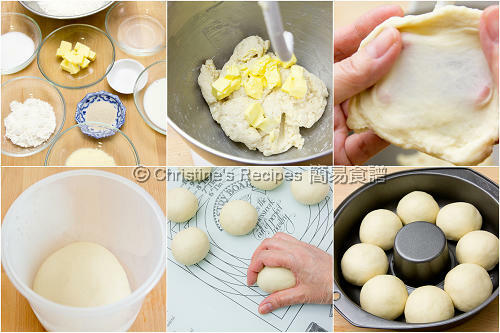 低筋粉 = cake and pastry flour, it can easily find at Coles or Woolworth. 我是麵包新手, 但看了妳的blog很久了, 多謝妳不停貢獻。 請問如果家裡太少人, 份量可以自行計算減少嗎? 看妳是分8份, 如果只想整5份, 是否將材料除開8份再乘5呢? 因為試過兩天時間仍吃不完, 感覺很浪費。 謝謝! How come there is no EGG in the ingredient of making 牛油餐包 please? Usually egg is an essential ingredient in making breads. If not using butter to make butter buns, that doesn't make sense. Not using any eggs, it'd also make butter buns as butter buns. 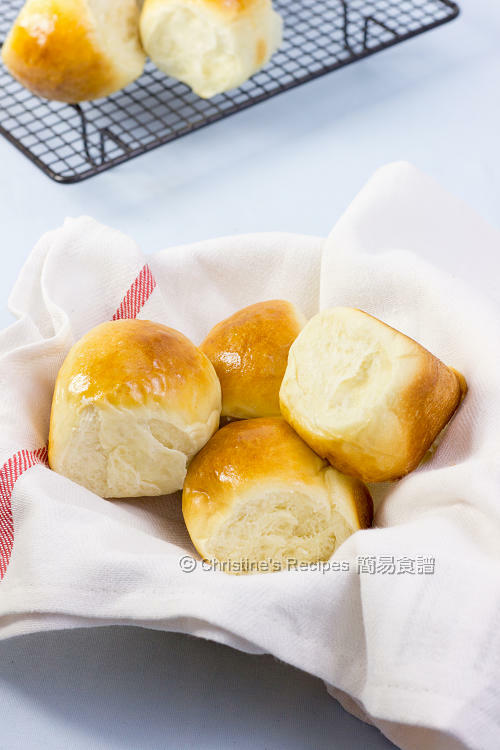 do you have any 中種法 to make bread please? Sorry, don't have any recipes you're after posted on this blog yet. Sure, you can skip the milk powder or replace with flour. Thanks so much for yr advise i will keep trying! Hi Christine, thank you for this great recipe. I like it very much because it is just simple and easy, not involve much step like 汤种. 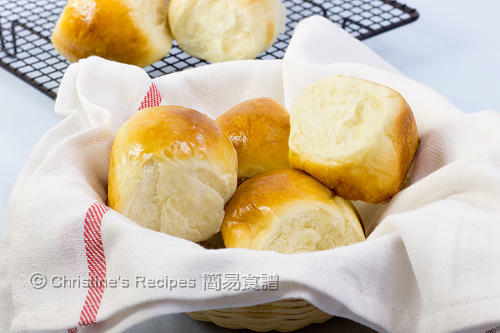 It save my time and the bread turn out nice and soft which is amazing. Simple recipe but make my breakfast a surprise. Thanks again. Glad that you loved this recipe. You can enjoy fresh and soft buns for breakfast every morning then. Happy baking ! Need your advice, as I not sure whether shall i invest in a bread machine or mixer and what brand of the bread machine you are using? Stand mixer is quite expensive, but it nearly works for all kinds of mixing and kneading job and you can have fully control of how long and how fast you knead the dough. I got two breadmakers right now. One is Sunbeam and the other one from Aldi.